Everyone talks about the weather, but nobody does anything about it. Talk of climate change and water in California is fraught with handwringing and delusions. Much discussion borders on alarmist or seems to presume magical abilities to precisely plan and prepare for a future climate. 1. Californians have experienced abrupt climate change before. Most immigrants to California in the 1850s experienced abrupt climate change, because they came mostly from humid parts of the United States and Europe with wet summers. It took more than 70 years for this society to develop laws, institutions and infrastructure suited to California’s climate (Pisani, 1982; Kelley 1986). Many newcomers adapted to the foreign climate and prospered, as with the development of irrigated agriculture. Still, the process of climate adaptation has been politically intense and lengthy – and continues to this day. 2. Climate change is not the only game-changer. In the past 100 years, California water management has changed tremendously, driven by changes in population, economic structure, technology, and social and environmental objectives (Hanak et al . 2011). Climate change is just one more big driver – and may not be the biggest one (Vörösmarty 2000). 3. We will not know the extent of climate change until long after the change has occurred. Even in an unchanging climate, it takes several hundred years of data to firmly answer such questions as, “How large is the ‘100-year flood?’” With a changing climate it will take decades to make good statistical estimates, even of changes in annual average precipitation and streamflow (Klemes 2000). And there is no reason to expect the climate to stop changing. 4. Climate change is now. In the last 50 years, California has seen a shifting share of runoff from the spring to the winter (Aguado et al. 1992). Also, sea level has risen about 1 foot in the last 100 years. Both trends are consistent with climate warming. 5. California is prone to massive climate change. In medieval times, parts of California experienced extreme droughts lasting more than 100 years (Stine 1994). 6. Expanding reservoirs is not necessarily useful for climate change. In a much drier climate, such as California experienced in medieval times, existing reservoirs would never fill and expanded storage capacity would be useless (Harou et al. 2010). Climate warming will reduce seasonal snowpack, but with some changes in reservoir management, existing large reservoirs on most of California’s rivers can largely accommodate seasonal shifts in runoff (Connell-Buck et al. 2011). Climate warming will be somewhat costly, but not catastrophic for most conventional water storage operations (Willis et al. 2010; Madani and Lund 2010). Change in total precipitation is more important than warming alone. The physical, economic and ecological instability of the Sacramento-San Joaquin Delta probably poses more risk to California’s water supply than climate warming (Lund et al. 2010). 7. Handwringing is not adaptation. Climate change introduces uncertainties, but California water management has always involved immense uncertainties. Effective water management adaptations to climate change emerge from comprehensive analysis of water markets, conjunctive use of ground and surface waters, water conservation, and from re-operation of some reservoirs (Harou et al. 2010; Tanaka et al. 2006; Medellin et al. 2008; Hanak and Lund 2011; Ragatz 2012). The key to water management adaptation for climate change is mostly good management. But, as always with California water, good management will involve controversy and require both political and technical leadership (Crawford and Herrick 2006)..
Jay Lund is the Ray B. Krone Professor of Environmental Engineering at UC Davis and director of the university’s Center for Watershed Sciences. Aguado, E., D. Cayan, L. Riddle, and M. Roos (1992), “Climate fluctuations and the timing of West Coast streamflow,” Journal of Climate, Vol. 5, December, pp. 1468-1483. Connell-Buck, C.R., J. Medellín-Azuara, J.R. Lund, and K. Madani, “Adapting California’s water system to warm vs. dry climates,” Climatic Change, Vol. 109 (Suppl 1), pp. S133–S149, 2011. Crawford, J. and J. Herrick, “Intelligent Engineering: William Hammond Hall and the state engineering department,” Sacramento History, Journal of the Sacramento County Historical Society, Vol. VI , No. 1-4, 2006. Klemes V. 2000. “Design Implications of Climate Change.” In Common Sense and Other Heresies: Selected Papers on Hydrology and Water Resources Engineering, ed. V. Klemes (Cambridge, Ontario: Canadian Water Resources Association). 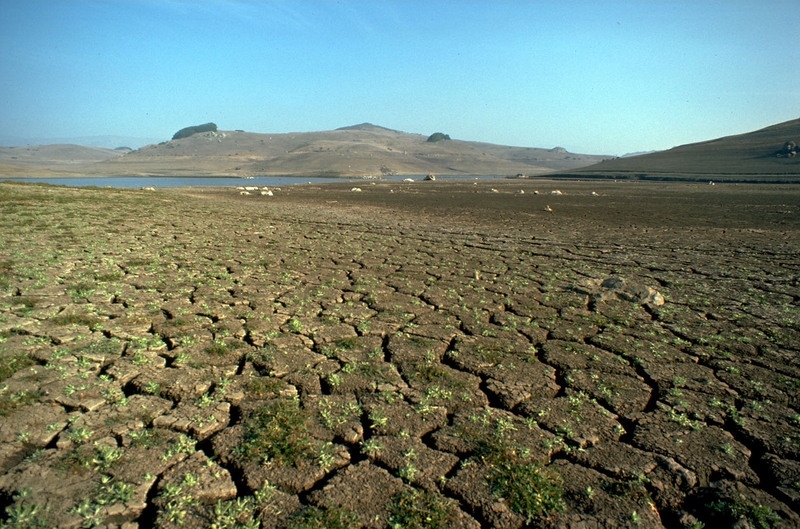 Roos, M. (2003), The Effects of Global Climate Change on California Water Resources, A report to the California Energy Commission’s Public Interest Energy Research Program (PIER), Sacramento, September 2002. Stine, S. 1994. “Extreme and Persistent Drought in California and Patagonia during Medieval Time.” Nature 369: 546–49. Vörösmarty, C. J., P. Green, J. Salisbury, and R. B. Lammers. 2000. “Global Water Resources: Vulnerability from Climate Change and Population Growth.” Science 289(5477): 284–88. 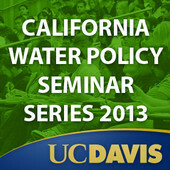 This winter, the UC Davis Center for Watershed Sciences is presenting a weekly speaker series on California water policy. The public is welcome to attend. This entry was posted in Uncategorized and tagged California water, climate change, Jay Lund. Bookmark the permalink.